Keith O’Brien Britain’s is the most senior Roman Catholic cleric in United Kingdom UK, he is stepping down as the Archbishop of St Andrews and Edinburgh. What prompt the resignation is believed to be because of the inappropriate behavior toward priest dating from the 1980’s, the allegation which he contested. Vatican will confirm cardinal Keith O’Brien resigns from Pope Benedict XVI. When confirm, he is no longer expected to be part of the election for the successor to Pope Benedict XVI who is stepping down this week, he made the announcement for his retirement from papacy seat in the Vatican City known earlier this month. The resignation of Britain’s most senior Roman Catholic cleric in the wake of allegations of improper behaviour creates a crisis for the Church in Scotland, and represents a heavy blow to the wider Church as it battles to shore up its reputation ahead of the papal election or “conclave”. 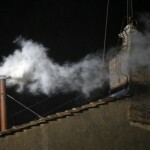 The conclave is already expected to be difficult in the circumstances created by Pope Benedict’s unprecedented resignation. The Vatican is also struggling to deal with reports of internal corruption and mismanagement. He was about to retire after taking part as Britain’s only representative in the election next month, a role he took extremely seriously. He said in a BBC interview on Friday that he found the responsibility of helping to choose a successor to Pope Benedict “almost frightening”. The Observer reported that the three priests and one former priest – from the diocese of St Andrews and Edinburgh – complained to the Pope’s representative to Britain, nuncio Antonio Mennini, in the week before 11 February, when Pope Benedict announced his resignation, of what they claimed was the cardinal’s inappropriate behaviour towards them in the 1980s. The former priest claims Cardinal O’Brien made an inappropriate approach to him in 1980, after night prayers, when he was a seminarian at St Andrew’s College, Drygrange. The complainant says he resigned as a priest when Cardinal O’Brien was first made a bishop. A third complainant alleges dealing with what he describes as “unwanted behaviour” by the cardinal in the 1980s after some late-night drinking. Cardinal O’Brien will be remembered in particular as a forthright defender – occasionally in outspoken and colourful terms – of Catholic teaching on abortion, euthanasia and homosexuality. Last week Cardinal O’Brien said he believed priests should be able to marry if they wished to do so. He said the new Pope could consider whether the Roman Catholic Church should change its stance on some issues, not of divine origin. 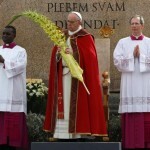 “For example the celibacy of the clergy, whether priests should marry – Jesus didn’t say that,” he said.